V-Ray for Schools, minimum quantity of 6 licenses. Academic Lab offers the ability to mix and match to reach the minimum. These Licenses will last two years complete with updates over that time period. Please contact us by email or phone u at 1-800-548-1578 or 1-816-525-0103 if your desired option is unavailable. Academic institutions, faculty staff, and students may use V-Ray Educational Licenses for school purposes. The Chaos Group policy is designed to meet the demand of high-quality V-Ray education as a path to a successful career. There is an option to mix and match options to achieve the minimum 6 total licences. See how schools are using V-Ray in their curriculum. 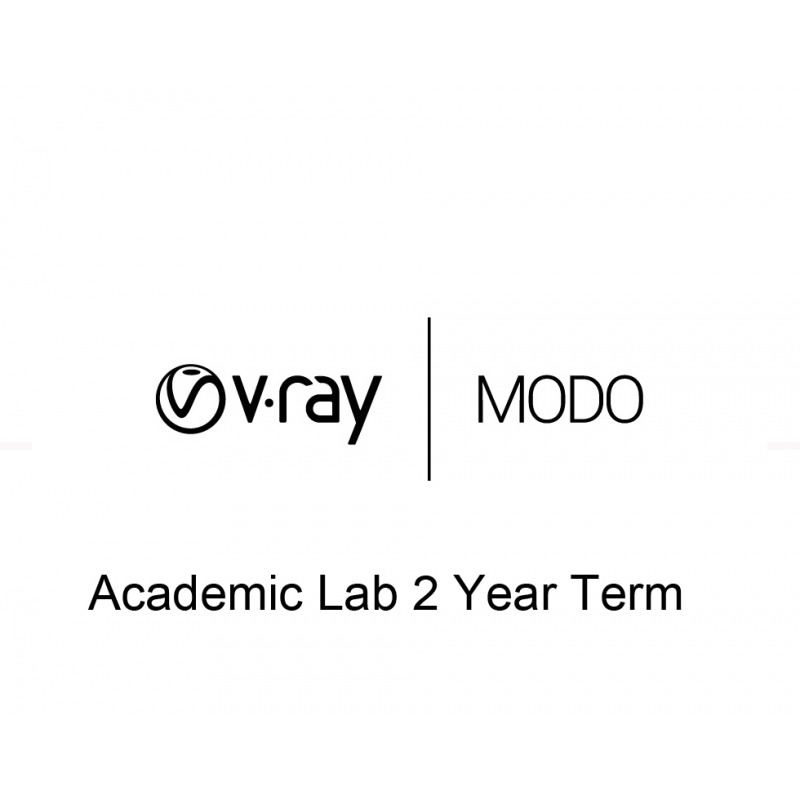 Any academic institutions which provide degree education, and are dedicated to teaching their enrolled students, are eligible to join the V-Ray Academic Program. These include public or private universities and colleges, junior colleges, elementary schools, middle schools, high schools, technical schools, and career schools. * Chaos Group’s Educational licenses provide the same functionality as commercial ones but can only be used for educational purposes. They should not be used for commercial (for-profit) work of any kind. * To apply for educational pricing, academic institutions need to provide information about the institution’s academic status and accreditation. * License upgrades included during the validity period. Prices do not include taxes. V-Ray Academic license:V-Ray for 3ds Max, V-Ray for SketchUp, V-Ray for Rhino, V-Ray for Maya, V-Ray for NUKE, V-Ray for MODO, V-Ray for Revit, VR Scans, PdPlayer. V-Ray 3.5 for Modo flawlessly integrates itself into Modo’s native workflow adding production-proven rendering capabilities. Taking full advantage of the latest CPU and GPU computing technology, V-Ray uses twin-engine rendering architecture to optimize rendering speeds. V-Ray is built to handle your biggest and toughest products while fitting into any production pipeline. Its versatility will allow you to render anything and everything - from quick design models to your toughest most detailed 3D scenes.